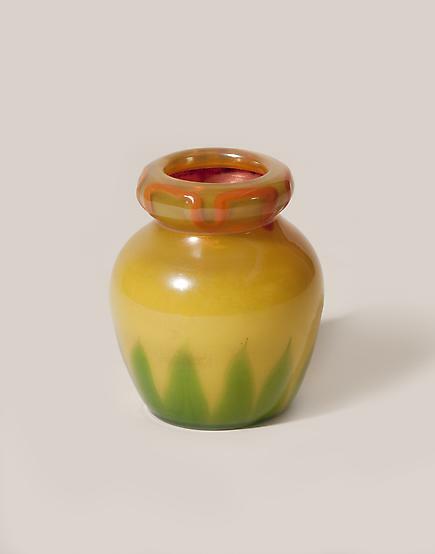 Dating from the 1920's, this Tiffany Studios Favrile Glass Vase shows the influence of Arthur Nash's aesthetic on the design of Tiffany Studios glass. The cased glass is decorated with a graphic linear design and features brightly colored favrile glass. The vase is signed.